These Healthy Slow Cooker Recipes will end your weekday meal stress. With options for breakfast, lunch and dinner you can feed your family without stress. I like easy in the kitchen all the time, but never more than as when we get towards fall. I know it isn’t technically Fall, and it is still VERY warm here, but something about school starting back always makes me switch into Fall mode. And to me, Fall means slow cooker recipes! The beginning of the school year is always pretty stressful, as two not-so-little boys put up their full resistance at getting back to their studies. Every year I say we are just going to home school all year around so we don’t have to got through this. By summer I’m so hungry from a break that we end up taking the summer off. The easiest dinner solution right now is slow cooker recipes. I can work on them in the morning and be in the kitchen to help the boys with school. It is perfect because then don’t have to worry about dinner in the evening. By that time, all I really feel like doing is sitting on the back porch with a glass of wine, convincing myself that the air is indeed cooler than it was a few weeks ago. One thing I’ve noticed with slow cooker recipes is that sometimes they aren’t the healthiest. I thought today I’d share with you 34 ways that you can crock on and still stay relatively healthy. 1.36 What are your favorite healthy slow cooker recipes? 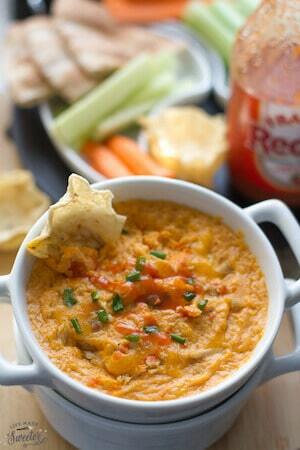 If you are looking for a slow cooker recipe that will wow the family, this is a must-try. It is different and delicious and one you will make again and again. Cake in the slow cooker? Yes, please! This low carb, dairy free cake doesn’t feel like a sacrifice. 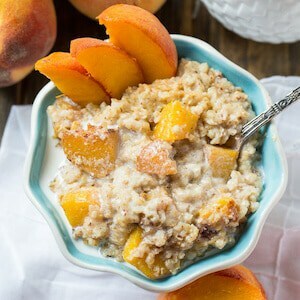 There is nothing like waking up to breakfast already done and this Slow Cooker Peaches and Cream Oatmeal looks like a winner. 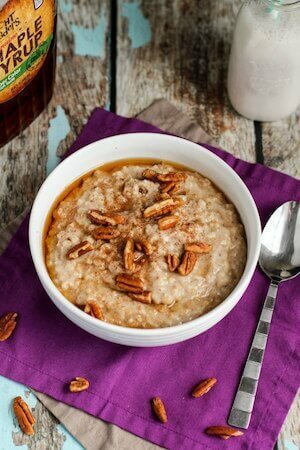 I love this southern take on oatmeal. 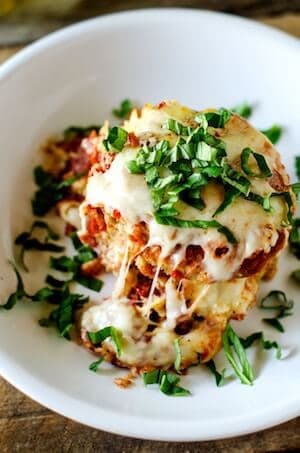 Save time and calories with this easy and healthier Eggplant Parmesan! 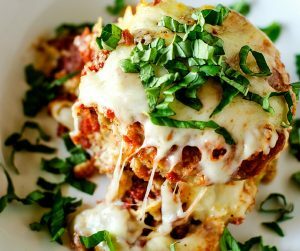 Eggplant Parm is one of my husbands favorite recipes, and I developed this recipe to make it easier to make it for him. 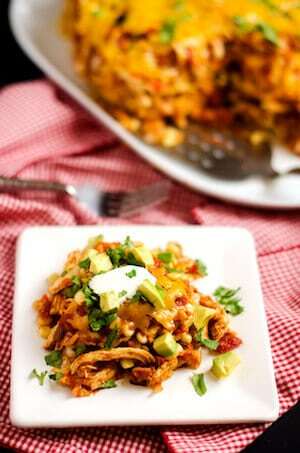 It has become one of our favorite healthy slow cooker recipes. 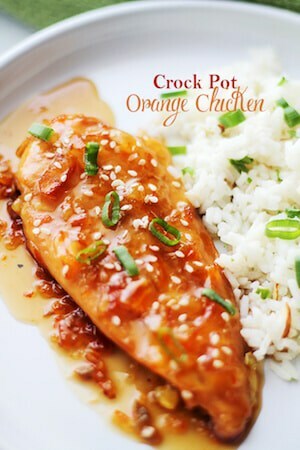 No need to eat out with this Crock Pot Orange Chicken recipe! With just 200 calories a serving, this one won’t wreck your diet for sure. 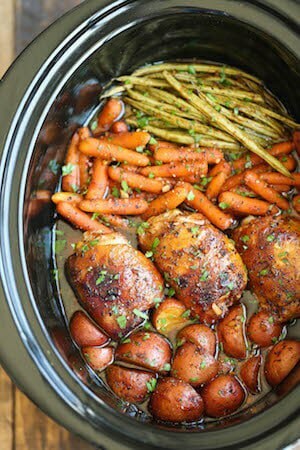 It doesn’t get much more simple than this Slow Cooker Honey Garlic Chicken and Veggies! This recipe was born after a spent a ridiculous sum of money on curried cashews at a specialty shop. 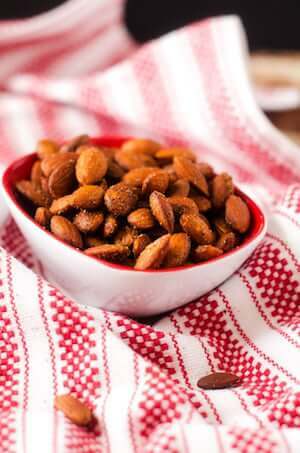 You won’t believe how delicious these nuts are – or how easy they are to make. See, healthy slow cooker recipes can extend beyond breakfast and dinner! 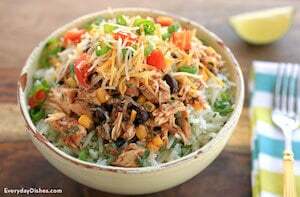 There is never a time when I wouldn’t be happy to come home to this Slow Cooker Chicken Burrito Bowl! I love the suggestion to serve it over cilantro lime rice. 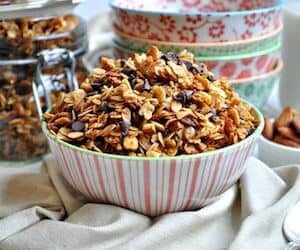 I love granola, but had never thought to make it in the slow cooker. What a brilliant idea. Plus Salted Caramel. Yum. 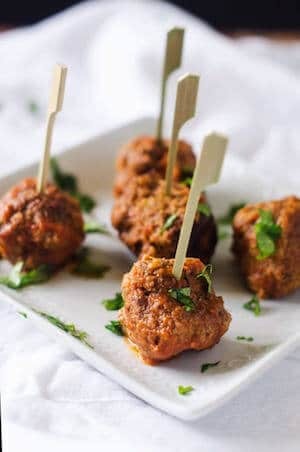 These slow cooker meatballs are easy to make and perfect for your next football party. With a bit of kick, these babies will have your guests coming back for more. This is one of those staple recipes that every Mom needs to have in her arsenal. 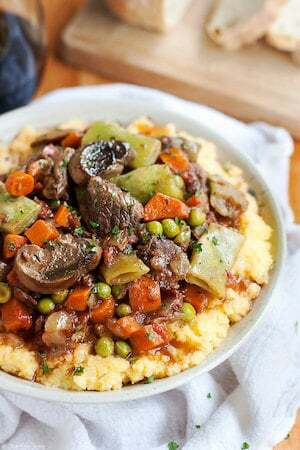 This healthy slow cooker recipe is such an amazing way to stock up your freezer too. 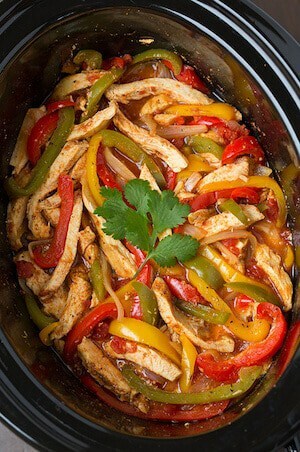 Fajitas are a meal that the whole family loves, and what better way than to make it easy on yourself than by making them in the slow cooker? 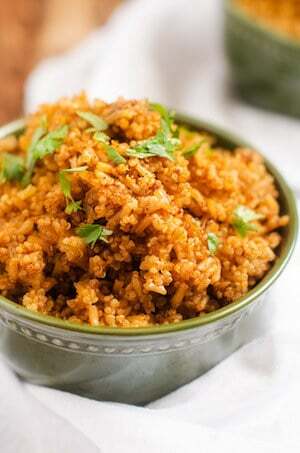 As many quinoa recipes as I’ve made, I rarely cook quinoa in the slow cooker. This recipe shows me what I’ve been missing out on. It looks so amazing, doesn’t it? This is one of my all time favorite recipes. We make it at least once a month and everyone in the family loves it. So simple, but so delicious! 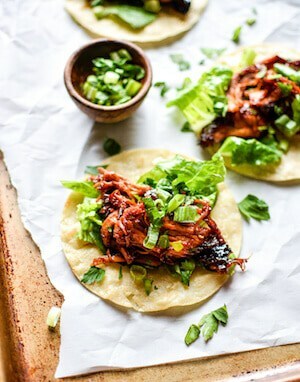 I love the idea of using a unique slow cooker chicken to make tacos. 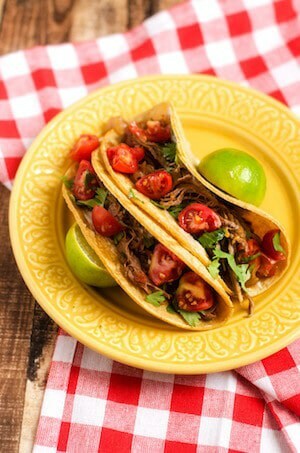 A more traditional take on tacos, these Slow Cooker Beef Tacos are packed with flavor. This is a staple recipe you will make over and over. 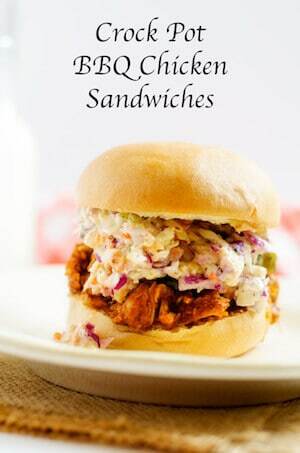 I love making chicken sandwiches in the slow cooker, and these sandwiches look amazing. I’ve never made slaw with corn before, but it looks amazing. This is such an easy side for those nights when you are grilling out! I also like it served with tacos. 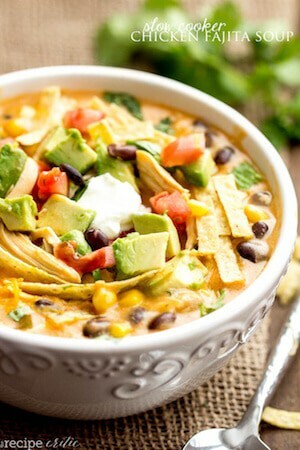 I love everything about this soup, from the corn and black beans to the crispy tortillas on top. And, of course, avocado! This tortilla casserole is comfort food at its best! 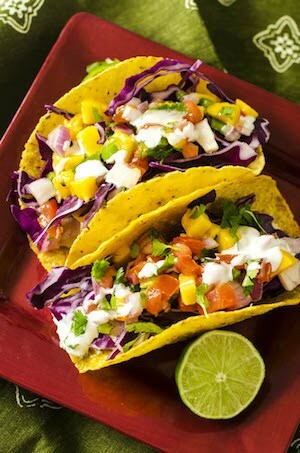 Serve it with a salad with Cilantro Lime dressing and you’ve got a great healthy meal that you’ll look forward to time and again. You guys know I love all things buffalo! This looks so good and I love the idea of making it healthier with the addition of zucchini. 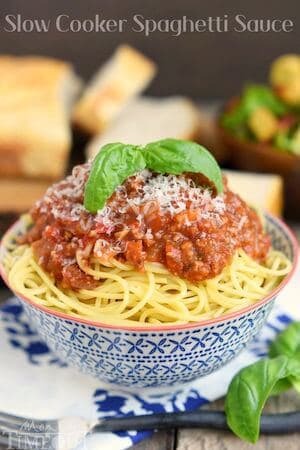 It isn’t always easy to get pasta right in the slow cooker, so I love this idea. Make the sauce in the slow cooker, cook your pasta and dinner is solved. Easy Peasy. 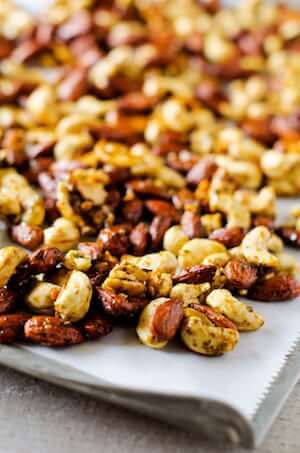 Nuts are my go-to snack and these nuts are insanely delicious – and almost effortless to make! Healthy chocolate cake in the slow cooker? It doesn’t get any better than that. This is my kind of healthy slow cooker recipe! 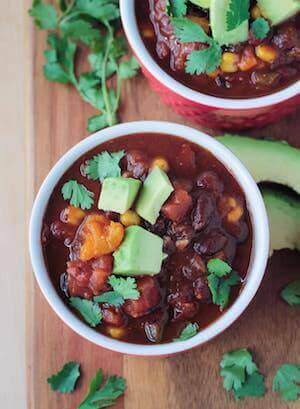 Not only is this butternut squash chili packed with plant based goodness, it is total comfort food. Love the way she topped it off with avocado. 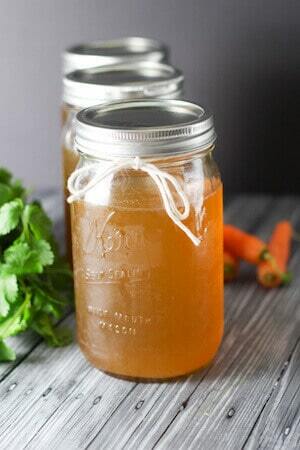 I got on the bone broth band wagon last year and I’ll never look back. If you haven’t tried it you simply MUST! It has helped me in so many ways – from skin to digestion. This is one of those healthy slow cooker recipes that every Mom needs. Who needs delivery when you can make a delicious chicken dish like this in a snap?! 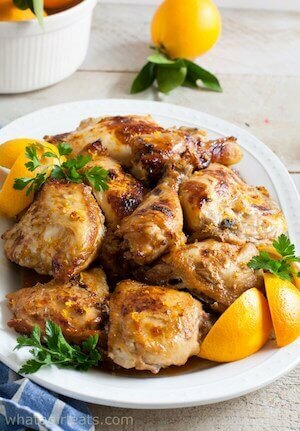 This low carb gluten free chicken recipe is one the whole family is sure to love. Breakfast in the slow cooker? Yes, please! What a great way to simplify your busy mornings and make sure the whole family gets a warm and delicious meal. 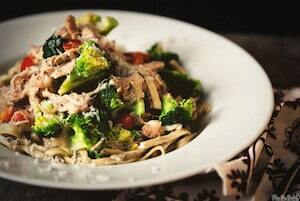 How great would it be to come home at the end of a long cold day to this healthy and hearty dish? 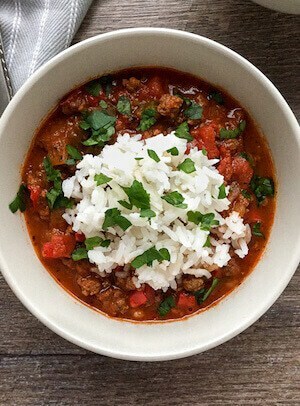 I love the idea of topping the soup with rice. 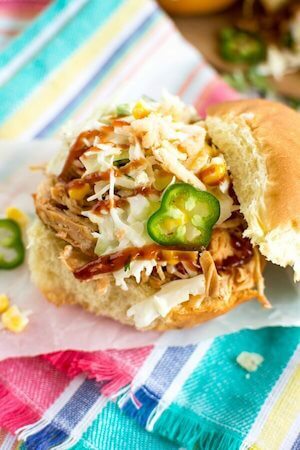 The only reason these slow cooker chicken sliders may not be healthy, is that you may not be able to stop at one. Or two. Or three. It is true: Sometimes healthy slow cooker recipes can make you look like a kitchen genius. 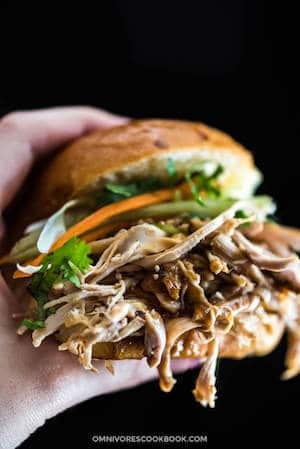 If you like Sriracha, this slow cooker pulled chicken MUST go into your recipe rotation. No doubt that your slow cooker will be happy to meet pumpkin…and your family just may wake up early thanks to the smell of this Pumpkin Spice Oatmeal. 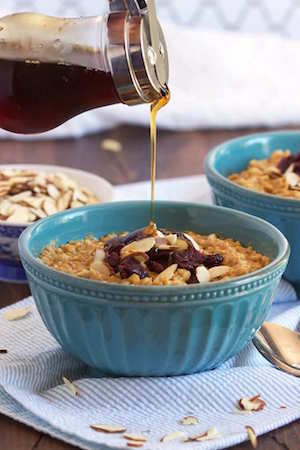 Nothing better than waking up to healthy slow cooker recipes for breakfast! 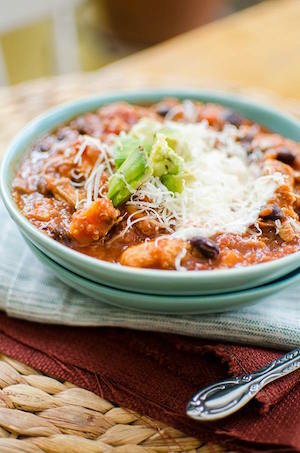 If you like quinoa and chicken chili, this is a marriage made in heaven! I am not sure comfort food gets much better than this Slow Cooker Italian Beef Stew! What are your favorite healthy slow cooker recipes? Hey, Wendy! Thanks so much for including our favorite granola in this delicious round-up! Sharing!! Thanks for sharing. I can’t wait to try your granola – what a great idea. 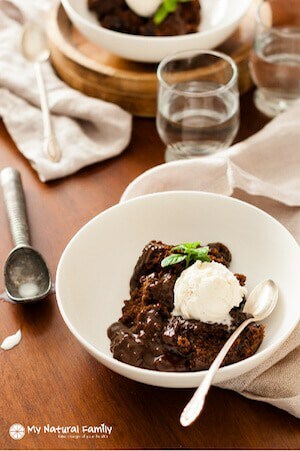 Slow cooker molten lava cake? That has not happen like yesterday. Thanks so much for sharing these! 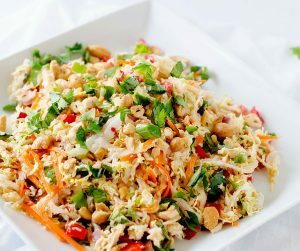 Healthy, tasty, and easy is the trifecta! Woo hoo! Oh man. I could be breaking out my slow cooker every day! These are some good recipes. 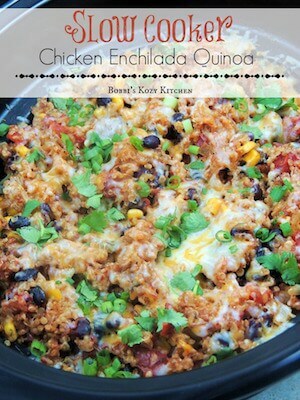 I want to try the chicken enchilada quinoa! I haven’t used my slow cooker in a bit. I need to break it out and put it to good use once again. 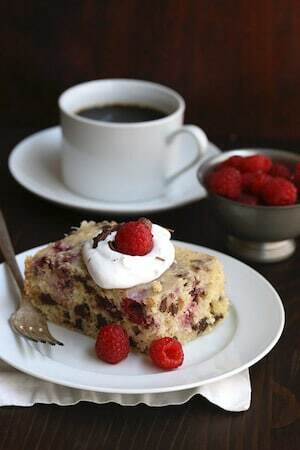 I have never made a cake in one, but now I am intrigued and can’t wait to try it! 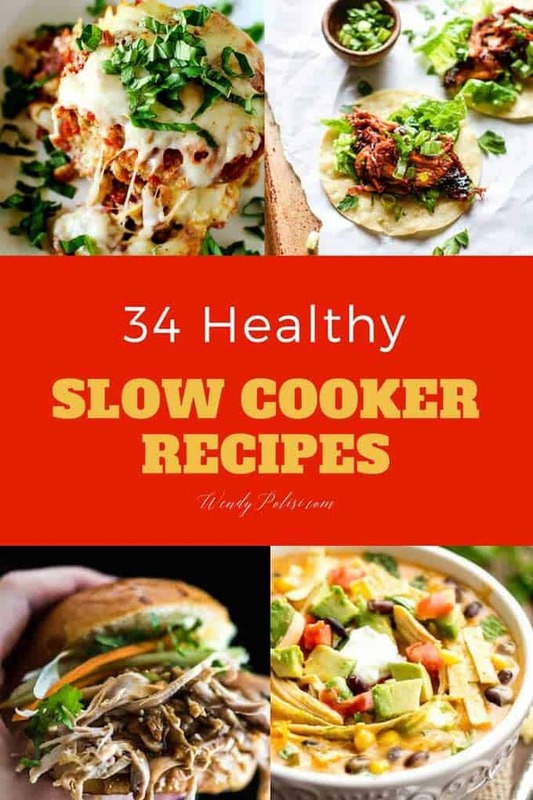 This is a great collection for people looking for healthy slow cooker recipes. I love using my slow cooker. Some of these sound so delicious. I know that I need to add things to my meal plan. Bookmarking this page. I love slow cooker recipes, they’re so easy and saves so much time. I love slow cooker recipes! They’re so easy and you just have to put all the ingredients in one pot and you’re done! I love that these aren’t just healthy recipes, but recipes that the kids will love as well. The Italian Beef stew sounds so good! I am bookmarking this page. I love my slow cooker and with 34 new recipes, my family will have full, satisfied tummies for 34 days! Thanks for sharing. Ever since I started this whole 30 diet, I’ve been really excited to discover more and more healthy recipes! These recipes are perfect and I’m definitely saving these! I love using my crock pot. However, the only recipes I know involve a lot of things like potatoes and cheese, haha. These are much healthier options! This is a superb list! We are trying to be healthier right now and it’s hard to come up with new meal ideas. I love the idea behind slow cooker meals. Being able to have everything ready with minimal work all day is great. Especially if you know you are going to have a busy day. Thanks for all the recipe ideas! All hail, the might slow cooker! A busy parent’s BFF! 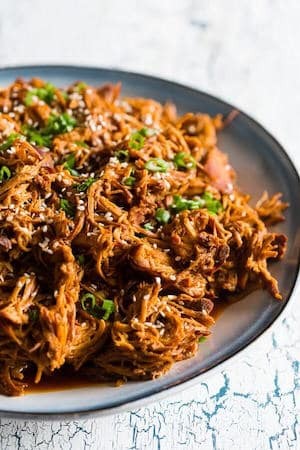 Thiese recipes all sound delightful and being able to throw it in the slow cooker and come back to a great meal is even better! Just woke up to the first cold day! Love using my slow cooker!